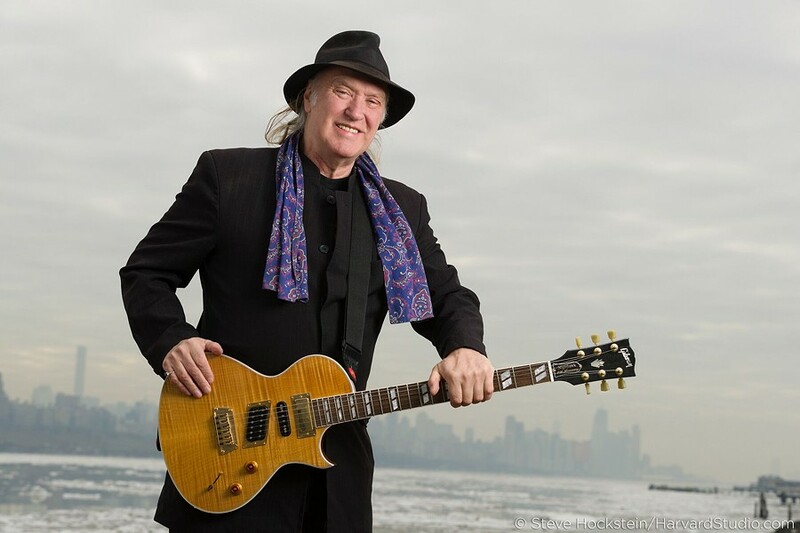 At the time that Kinks guitarist Dave Davies came up with the instrumental song “The Journey,” he saw the track as an intriguing possible gateway to a larger project, one which, as it turns out, he’s still thinking about more than 45 years later. Appropriately, the song finally finds an official home on Decade, a wonderful collection of Davies’ solo recordings from the '70s that was recently released. What’s interesting about the album itself is how much it sounds like an artifact of the time period, simply pulled to the surface and pushed out into the world for all to hear at last. In truth, the recordings themselves required quite a bit more work than that. The project was spearheaded by Davies’ sons, Martin and Simon, who helped to gather up the archived recordings and ultimately would work with the guitarist to select and finish the 13 tracks that are on the album. While Davies admits that there have been times when he and his sons haven’t always seen eye to eye on things, they were very much in sync when it came to working on these songs, something which seems to spiritually indicate that it was finally time for this music to come out. He had the benefit of more than four decades of hindsight when it came to looking at the unreleased songs but says that it was still “daunting” working on the songs because of the very personal nature of what he was writing about at the time. As he points out, the '70s were a decade of change for him personally. Davies began working on the songs at the start of the decade, around the same time that the band had decided to invest in building their own recording space, which became Konk Studios. This past October, the brothers were in the same room with Kinks drummer Mick Avory, an important moment, as Dave Davies and Avory hadn’t seen each other in a decade. More recently, Ray and Dave got together earlier this year to work on songs, something which Davies says is an “ongoing” process. And he notes that it’s indeed quite meaningful that they have been able to resume their creative partnership. They’re looking at unfinished archival material in addition to working on new songs. “We’ve spent quite a lot of time together, playing older archives of songs and trying to fit them into the new songs [we’ve been writing],” he says. “I think there’s a couple of things that might have been from [1977's] Sleepwalker, but mostly, it’s '80s stuff. The archive songs aren’t quite finished yet, and we’re kind of listening and deciding what to do about these tracks. It’s an exciting time. But, as he adds, it’s too soon to know the “what” and the “when” as far as anything that might transpire from their current activities. “We’ll see what happens,” he says, with an upbeat tone. Davies’ current band is a power trio featuring bassist David Nolte and Smithereens drummer Dennis Diken. The connection with Diken dates back to the beginning of the '90s when Dave and his brother and former Kinks bandmate Ray Davies found themselves sharing the stage with the New Jersey quartet unexpectedly.